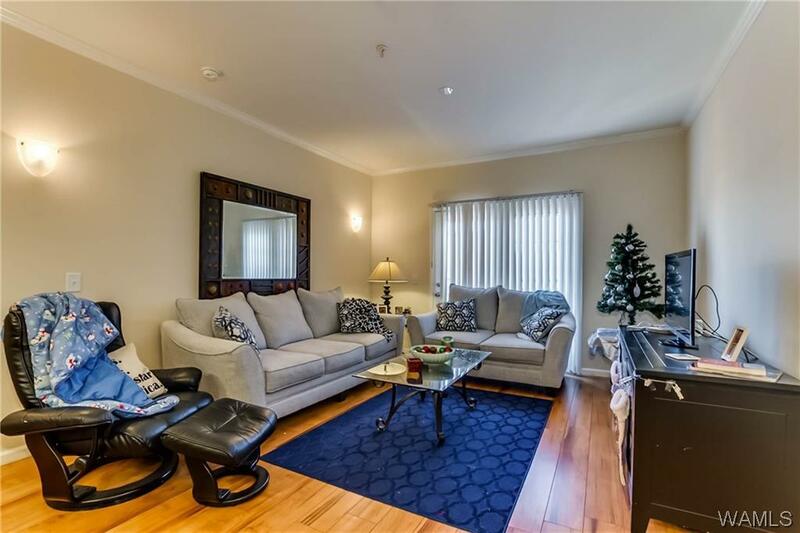 FABULOUS FULLY FURNISHED 3RD FLOOR UNIT! 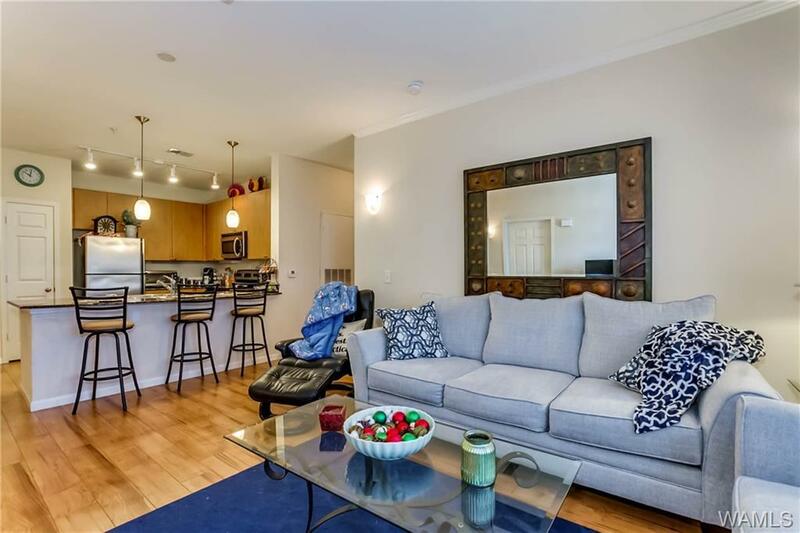 This is a 3 bedroom x 3 bath unit that has a balcony that faces retail and restaurants. 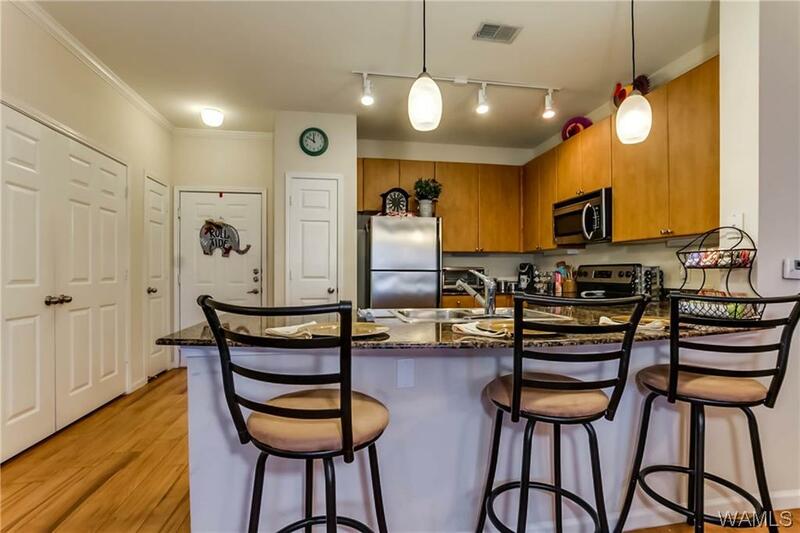 The unit includes stainless steel/black appliances including refrigerator with ice maker, dishwasher, electric range with hood and disposal, granite counter tops, nine-foot ceilings with crown molding, ceiling fans and walk-in closets in each bedroom. Ceramic tile floors in kitchen and baths. You'll enjoy the community club room with TV, swimming pool, hot tub, tanning deck, fitness center, putting green and more. 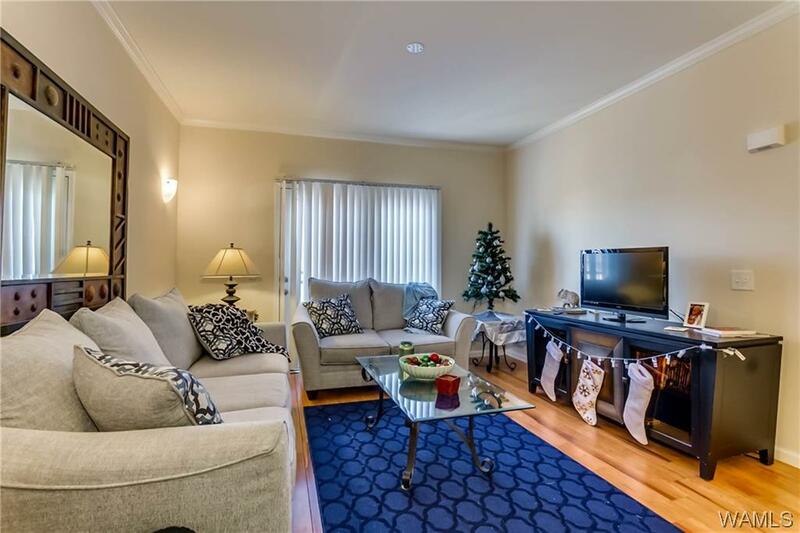 Plus, you'll be safe and sound with the parking garage with controlled access, fire alarms and sprinkler system, well-lighted grounds, privacy viewer in door, dead-bolt locks and more. HOA $361 monthly. FURNITURE IS OWNED BY CONDO OWNER WHO IS WILLING TO SELL ALL FURNITURE WITH AN ACCEPTABLE OFFER.